A qualification sample of the AMD Gonzalo system-on-a-chip (SoC) has been spotted in the wild. A tweet posted today by well-known tech leaker TUM_APISAK pointed to a qualification sample of the chip. AMD Gonzalo, while not officially confirmed by AMD, is said to be the U.S. chipmaker's custom APU (accelerated processing unit) tailored specifically to power the next generation of gaming consoles from Microsoft and Sony. 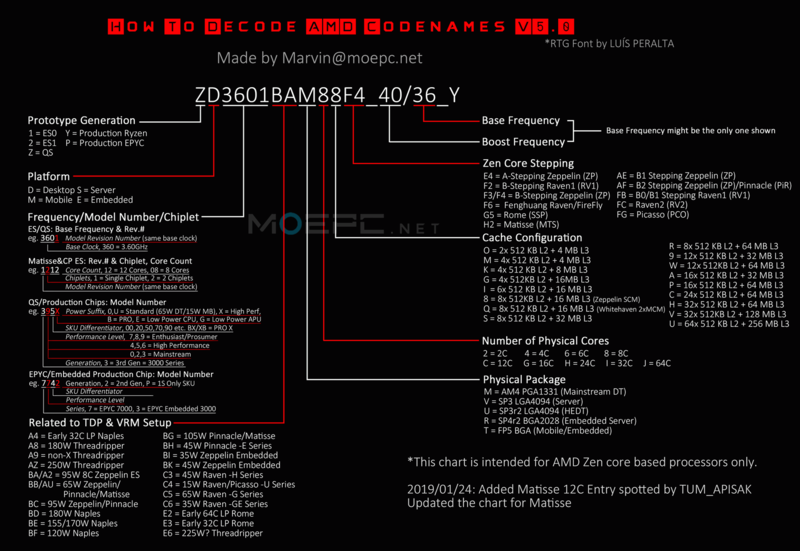 Credit: AMDThe first rumored sighting of the AMD Gonzalo SoC was back in January in the form of a engineering sample (ES) carrying the "2G16002CE8JA2_32/10/10_13E9" codename. The processor's microarchitecture was uncertain, as there was no indication whether the SoC was based on AMD's Zen+ or Zen 2 architecture. If you follow Marvin's AMD Condename Decoder, then AMD Gonzalo should have eight physical cores operating at a 1GHz base clock speed and 3.2GHz boost clock. Due to the 13E9 PCIe ID, the SoC is rumored to come with integrated Navi 10 Lite graphics running at 1GHz. Fast forward to today, and AMD Gonzalo has apparently been spotted in the 3DMark database. However, this time the leaked SoC is a qualification sample (QS) with a different codename, "ZG16702AE8JB2_32/10/18_13F8". This latest development indicates that the AMD Gonzalo SoC is getting closer to the production stage. This could also means that Sony's Playstation 5 and Microsoft's Xbox Scarlett, both expected to run on AMD Gonzalo, could be available sooner than we think. This new sample is a little different than the one seen in January. For one, the qualification sample reportedly has a 1.6GHz base clock. That's a 600MHz increase in comparison to the engineering sample. Second, the stepping has changed from A2 to B2, which means the SoC is progressing through the development process. Lastly, the PCIe ID on the qualification sample is 13F8 instead of 13E9. It appears to be another variant of the original Navi 10 Lite graphics card that was spotted in the engineering sample. This qualification sample's iGPU (integrated graphics processing unit) apparently clocks in at 1.8GHz, making it 800MHz faster than the previous engineering sample. If that clock speed is accurate, AMD Gonzalo should be a very capable SoC. With that clock speed, it'll be interesting to see the chip's TDP (thermal design power) rating. Pushing operating clocks up to 1.8GHz could result in it surpassing the limited power envelope of modern gaming consoles. We're keen to know what kind of magic AMD plans on performing to potentially achieve this.